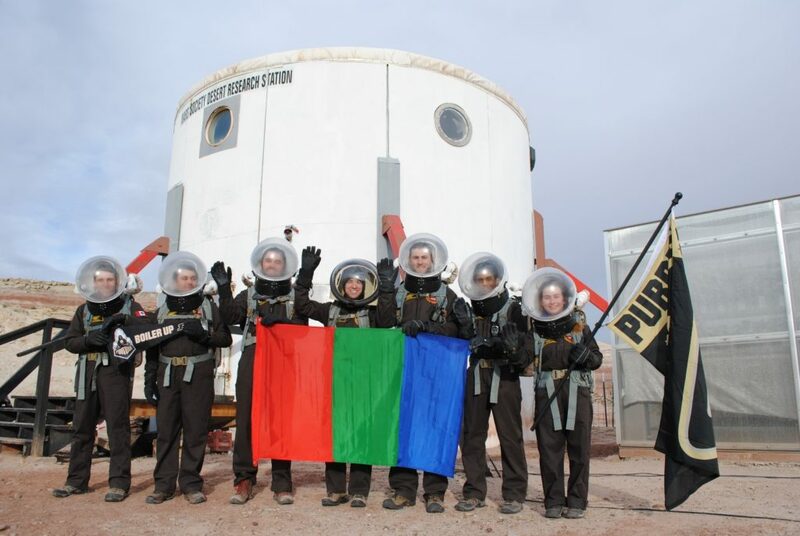 As Purdue students and alumni, Purdue’s heritage with human spaceflight is a heritage we all take very seriously, and that heritage was on full display for the duration of this mission. I am happy to say that every member of this crew has risen to the highest standards expected of would be space travelers, and I am proud of every member of this crew for doing their jobs with skill, effectiveness, professionalism, robustness, and the positive disposition that space travel demands of those who pursue it. I would be proud to call any of you my crewmates on a real mission to Mars. When undertaking challenging journeys like this, I often find there are two types of travelers. First, there are the kind who are happiest when things are going right. The kind who love it when a plan works. The kind who revel in practicing, planning and simulating every facet of the journey beforehand just as much as they love the journey itself. Second, there are the kind of travelers who enjoy a journey more when things are going poorly, because it allows for a chance to test their skills in the face of danger. They revel in being just beyond the margin and only barely in control, because the experience will leave them with a harrowing story to tell when they get home. Personally, I’m in the first camp. I subscribe to the perspective that a stressful and harrowing adventure is a sign of poor planning. Things sometimes go wrong that are beyond our control. And during those times, true stories of courage and heroism often emerge, especially in space travel. But there is nothing to be celebrated in seeking such situations. Because of our desire for narrative satisfaction, it’s the near disasters that often become our most cherished stories, but those stories of right ought to be told just as much about the textbook missions, and the hard work that made them possible. 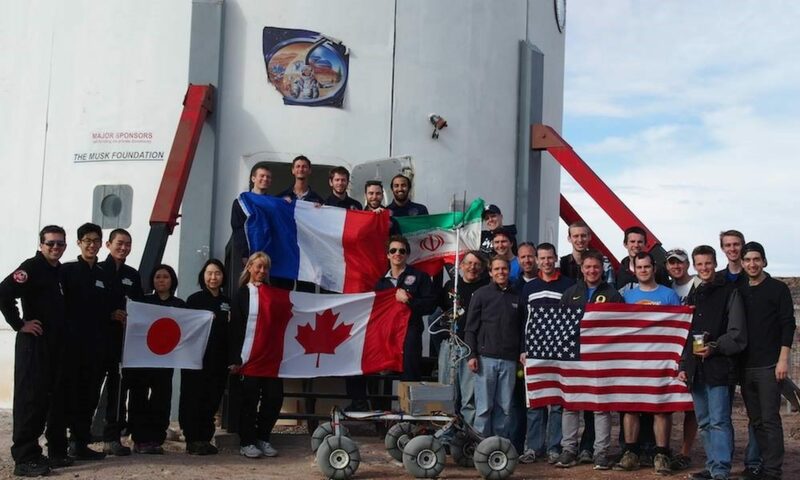 That is why I am so proud of what we have accomplished as a crew during our time at MDRS, and why I will remember the time so fondly. Our mission was productive, exciting, and educational, but it was never stressful or harrowing. It has been a privilege to command such a talented and driven group of people. Thank you to Ashwati Das and the Purdue Mars Society. Thank you to Professor Porterfield, Professor Mitchell, Professor Horgan, Professor Grant, Professor Whitfield and Professor Dumbacher, and thank you to Erin Easterling and Brian Huchel. Thank you to Mars Academy USA, Purdue Honors College, WIEP, ABE, SAO, and PESC. Thanks to the many Mars Society volunteers who have put in their time and hard work over the decades to make MDRS possible, and to those who specifically supported us on our mission: Veronica Brooks, Sylvain Burdot, Kevin Seidler, Kay Wolf, Jennifer Holt, Graeme Frear and Bernard Dubb. Thank you to Dr. Robert Zubrin and the Mars Society Leadership, and final thanks to Dr. Shannon Rupert for being our on-site support. We conducted a total of 10 EVAs during our mission (11 were planned, but light snow on Sol 9 caused it to be delayed to Sol 10). Our EVAs lasted anywhere from 1-5 hours, traversing a distance of 138km total and reaching a maximum of 6.2 km from the hab. 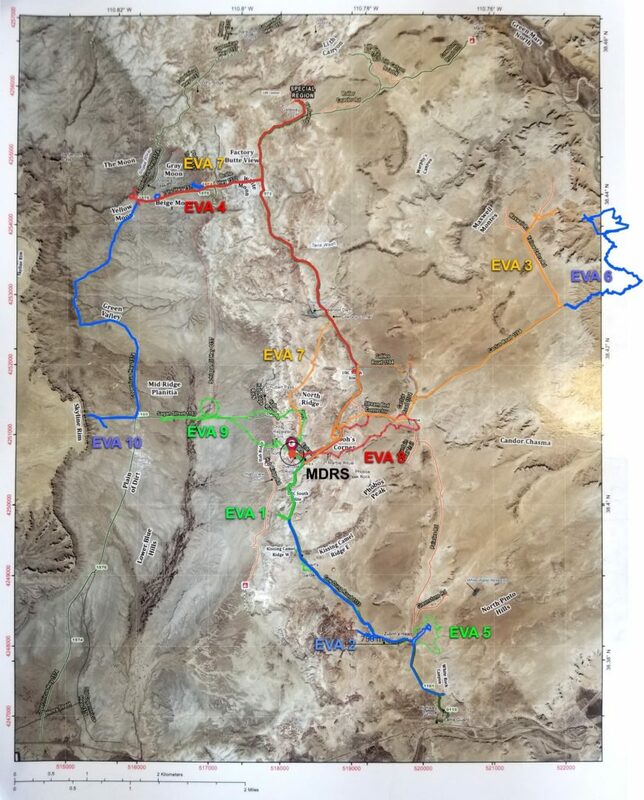 A map of every EVA we took is shown on the next page, overlayed on the MDRS regional map. Something like the electric rovers of ATVs are an essential part of an effective Mars surface exploration campaign. However, they must be considered in the same class as the rockets and spacecraft that delivered the astronauts to Mars: As means, not ends. The best field science is still done when an astronaut is on foot and able to devote their complete attention to their surroundings. As such, a goal of this mission was to minimize the amount of “unproductive” time spent on EVAs. This includes time spent en route to targets, and loading/unloading equipment. An EVA debrief was regularly held 1 hour after the EVA had completed with the EVA director who had been the habcomm for the EVA, and a careful timeline was reconstructed from the gps logs carried by members of the EVA. This allowed us to build up an accurate picture of how our EVA time was spent. A goal at the start of this mission was to spend at least 50% of each EVA on site. We were not able to accomplish this goal. A weighted average across all EVAs yielded only 42% time spent on site. Regardless, the system for reconstructing EVA timelines and locations proved very useful, as it allowed for quickly checking what had and had not worked on past when planning for future EVAs, as well as checking the location of geological samples. As will probably be the case in an actual Mars mission, a majority of our EVA activity was devoted to a geological survey of the region. Not only will such geological activates answer important questions about Mars’ past, but such geological knowledge will shape Mars’ potential as a future home. The need to reduce payload mass for future space exploration is imperative on long term colonial missions, and effective In-Situ Resource Utilization (ISRU) provides just such a way to reduce the materials that must be brought from Earth. For effective ISRU, future Mars colonists must determine material presence, abundance, accessibility, usability, and the best ways to collect them. On this mission, remote sensing techniques) were applied to support of this goal. The crew collected a variety of samples in these location, and analyzed them with a “PANalytical QualitySpec TREK” portable spectrometer. The 86 Visible and Near Infrared (VNIR) spectra that were collected gave information about the mineralogy of the samples, and will be used to assess water content in the various locations. Temperatures at different depths and in different conditions were also analyzed. These measurements will be used after the end of the mission to determine the correlation between thermal inertia and physical properties of the material, such as cohesiveness and bulk size. The EVAs brought the analog astronauts through diverse fields, ranging from plains covered in clays and characterized by salt deposits to deep canyons where million of years of strata are exposed. All the types of terrains are found on Mars, though the presence of large angular boulders is more prominent in most Martian landscapes. 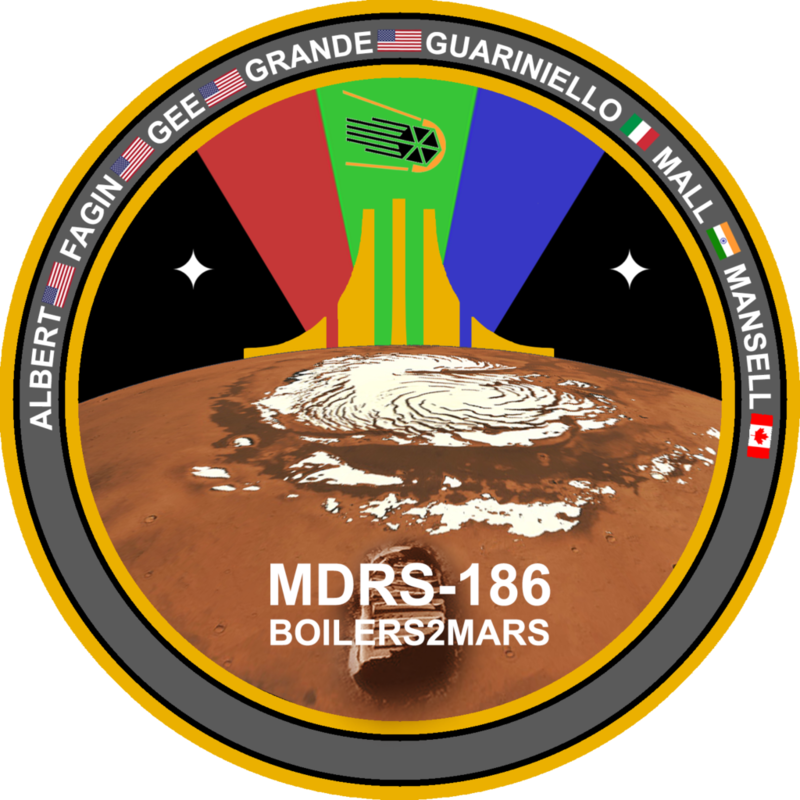 The results were extremely satisfactory, both in terms of Mars analog mineralogy and for what concerns collection of the samples with the various tools, and yielded useful outcomes for ISRU on Mars. GPS navigation will not be an option for early Mars explorer, and most navigation will need to take place with assets located at the habitat. One solution is to place a directional radio beacon at the hab, and just such a system was designed and successfully tested during our mission. 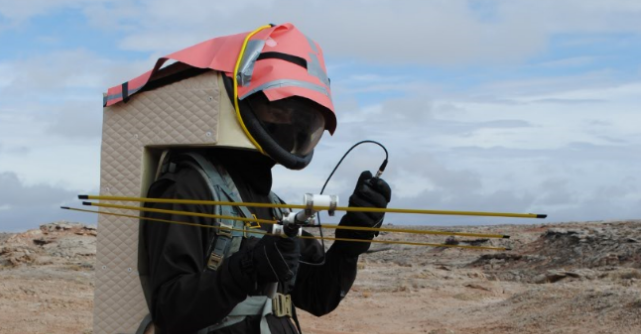 Over four dedicated navigation EVAs, a simulated “lost astronaut” was able to determine their bearing to the habitat using a directional handheld antenna. By taking regular bearings while walking, the astronauts were able to navigate to within a few hundred meters of the habitat from several kilometers away, even when a visor was in place that limited their vision to only their immediate surroundings. The greatest challenge was the overwhelming signal strength at close ranges to the habitat, but this was mitigated by employing the insensitive axis of the antenna to find a bearing at right angles to the direction to the habitat. Future designs will include an attenuator to improve performance near the transmitting beacon and a timing circuit to establish both bearing and range. 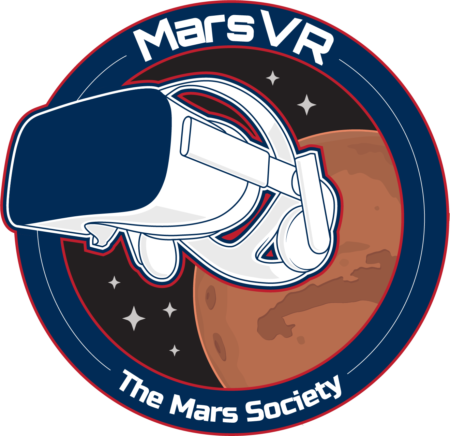 Crew time will be as precious a resource as water and power on a mission to Mars, and virtual reality is a powerful teaching tool that offers the chance to reduce the amount of time a crew member must spend training for a complex task. For this mission, half the crew participated in a Pre-Mission Training Group (PMTG) and were conventionally trained on two tasks via PowerPoint training modules about three weeks before the mission. The crew learned how to use a portable spectrometer and how to perform maintenance checks on an ATV’s brake system. A Virtual Reality Training Group was given the freedom to use the VR version of the models at their own pace and at any time during their day. The VRTG could also take the training immediately before doing the EVA to complete the taught tasks. Mixed results were observed from the astronauts, but it was interesting to note that the VRTG spent much less time in training, which is positive in terms of maximizing astronaut work hours. However, some steps and details in each stage of the tasks were not given enough attention. Some of the VRTG also put off the training, since it wasn’t specifically scheduled. Participants from both groups did not specifically acknowledge the procedure and safety requirements if damage was found. Finally, the VR modules were limited in their interaction and level of detail, due to time and resource constraints. Future work would explore further the memorization of procedure and the interactivity of the VR applications. 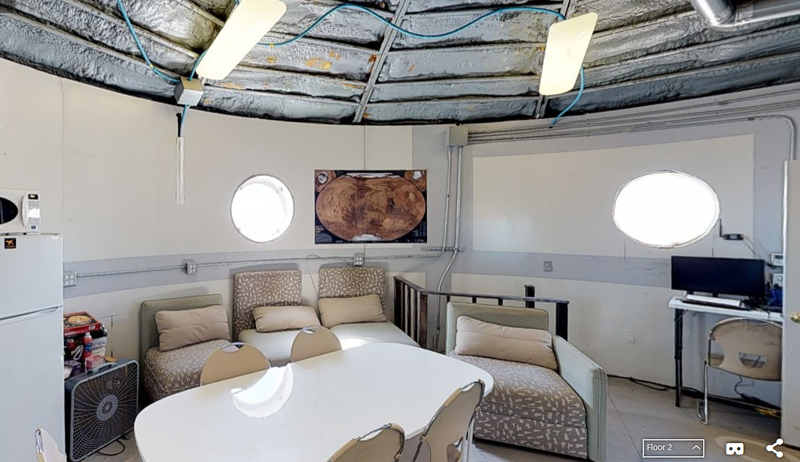 Throughout the mission, surfaces in the habitat and GreenHab were swabbed in order to survey the microbial environment at MDRS. These swabs were then run through DNA extraction and amplification using portable PCR technology. 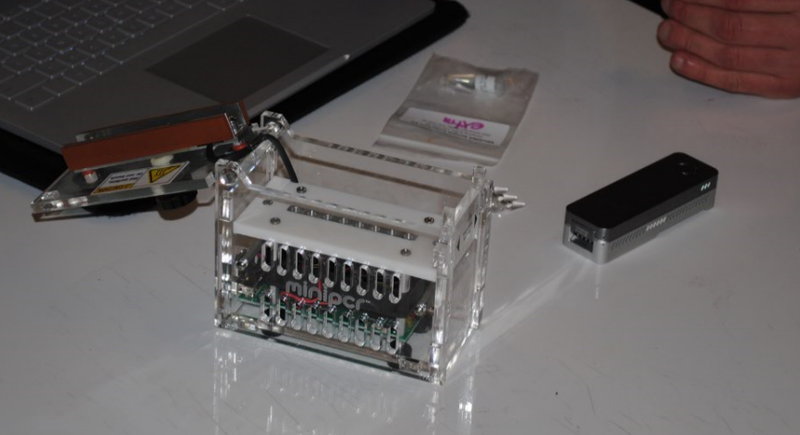 Next, the amplified DNA was sequenced using the minion, a portable DNA sequencer that has previously been used to perform identical tests on the International Space Station. Although only 2 of the 4 sequencing runs yielded quality data, these results will be useful in analyzing the microbes present at MDRS. This research was completed in collaboration with NASA JSC, and the results will be part of a larger study on microbial environment in closed, isolated environments, including ongoing research on the International Space Station (Genes in Space-3). The human mind must remain well maintained on a Mars mission every bit as much as the electrical and mechanical systems of the spacecraft. To that end, the crew started each day by performing 21 different Yoga exercises focusing on breathing, posture, stretching, and meditation for 30 minutes to release stress. After 12 days, the average self reported stress of the crew reduced from 16.8 to 15.0 based on the Perceived Stress Scale Survey. Based on Self-Assessment survey, the crew’s average happiness, positivity, patience, self-confidence, and endurance increased throughout the mission while the fatigue remained stable. Later in the mission, some of the crew members tried a guided meditation VR app and suggested its use over conventional meditation method. The small number of subjects meant a control group could not be followed to isolate the effect of the morning exercises, but even if small, the exercise still promoted crew bonding by ensuring we all began our day at the same time, and with the same activity; the benefits of which cannot be quantified. The Greenhab has succeeded in its mission to provide food, house experiments, and bring stress relief to the crew. The harvest on the last sol of our rotation yielded a sampling of fresh microgreens, lettuce, green beans, dill, and cilantro, the first time this has been done this season. The previously planted tomatoes, cucumbers, green beans, and peppers are growing well along with the carrots, onions, arugula, radish, lettuce, and Swiss chard that were planted this rotation. Future crews should have a bountiful and tasty harvest. Two studies were successfully completed. 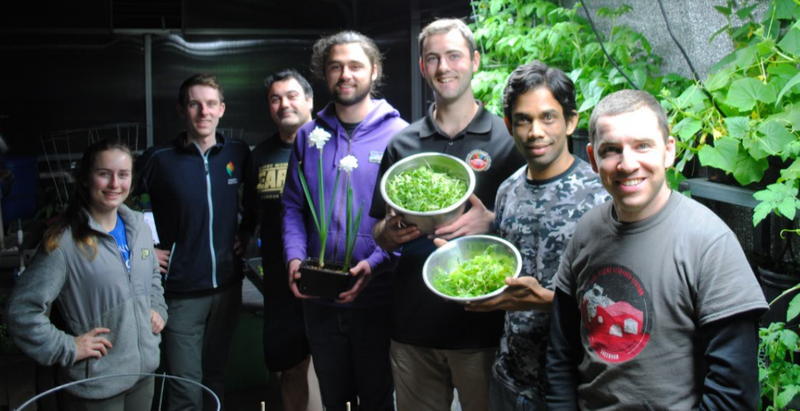 One on how to produce microgreens using minimal resources, and the other on how plant growth is affected by the microbiome in an isolated Mars habitat. Time and humidity data were also successfully collected throughout the mission providing insight on the environment the GreenHab crops are exposed to. In addition to being productive, the GreenHab provided a convenient way to relax. Crew members were frequently found enjoying the heat, humidity, and beautiful scenery that the GreenHab provides.